Fill out our simple form and get quotes from local smoke machine hire companies. The perfect dance floor addition, a smoke machine is a party staple. Perhaps you need a fog machine to add some mystery or create an atmosphere on set? Whatever your requirements, hire smoke machines here. Glynn Tee - Professional DJ has two 900w smoke machines to cater for all types of venues (that allow smoke machines). Glynn's smoke machines are controlled by button and are never overused at events. Low level smoke machines for indoor use or powerful canister smoke machine, smaller fog machine using fog liquid. Our machines are available with engineer or as dry hire. 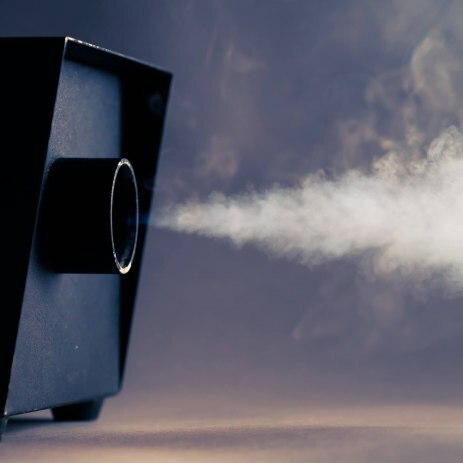 We have a number of smoke and haze machines of various sizes to cater for all types of venue. All our haze and smoke machines can be DMX computer controlled for added flexibility. We offer good quality, we only use high quality equipment, some machines have timers and can be used by remote control. All our equipment is dropped off and set up, delivery charge may apply. Transform your dance floor and create special effects with smoke machine hire. With a range of specifications available smoke machines are suitable for all kinds of events. Many smoke machine suppliers will be able to cover your other event hire needs such as lighting and audiovisual equipment too. A professional will be able to come and set everything up for you, so that there’s nothing to worry about but having a great time. Add to Event work with a whole range of suppliers who can help make your event unique, so to receive quotes from smoke machine hire suppliers in your area just complete a free quote request form.